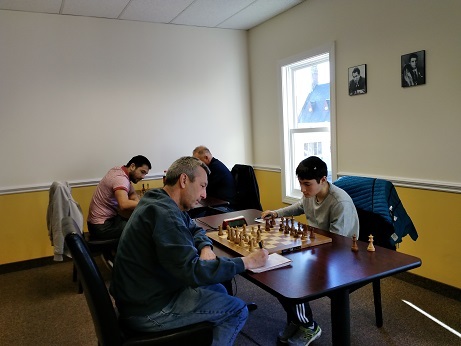 Today's top quad came down to the final round encounter between National Masters Arslan Otchiyev and Oliver Chernin. 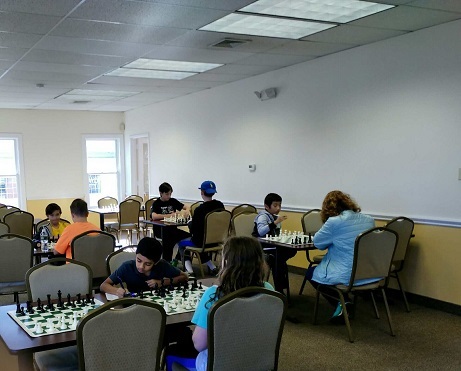 In an extremely complex game where both players went on the attack, it was ultimately Chernin's attack that broke through first giving him the win and the overall victory. Quad two was won by Aurelius Mlynar with 2.5/3. However, stealing the spotlight was the 1119 rated Colin Dean who managed to draw with two players each rated over 600 points above him! Finally, quad three was won by Seraphina Mlynar with 2.5/3, a half point ahead of the next competitor. Thank you to everyone that joined us this weekend!